It need not be expensive to get traffic to your site and this is the reason we are furnishing you on the different traffic sources you can tap into. Some of these sources will need you to invest a lot into them but this is the rule of the jungle, spend more time if you want to get it free or spend less time when you pay for it. With some of the traffic sources, it will be obvious and others will be less so. Great free organic traffic is best when it comes from search engines but it is also great if we get it from other sources. Google traffic is the pillar to your organic traffic and the efforts you put will be aimed at working with Google. The aim of this post is to assist you in diversifying the sources you get your traffic. There are a myriad of good reasons as to why you should diversify and keep away from totally relying on Google. What are some of the reasons as to why you should not rely on Google 100%? In case there is an algorithm change, you can be knocked down at a moment’s notice and lead you to making huge expenses to clean this up. 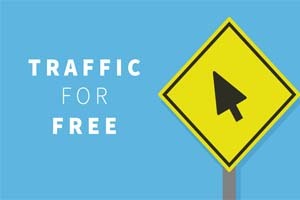 Social networks had to be on the list, they work miracles when it comes to giving you cheap free traffic. In your advertising strategy, you can work with two or three social networks. The results when it comes to traffic volumes and conversion rates will depend on the social network’s popularity and whether your target audience has embraced the social network. These are sites that have entirely specialized on a niche and will generate plenty of cheap targeted traffic. It will work in your favour a great deal when you host and interview or when you give it. All you have to do is identify websites and specific people you wish to interview or those you want to interview you and approach them for an invite.